We interview Logan Lommel from Dynamo FC St. Cloud on this episode. We discuss the origins of Dynamo, their approach to social media, the future direction of the club, & more. We discuss Thierry Henry's sacking, chanting at the Millwall vs Everton match, releasing players for the U20 World Cup, & more. We discuss Sarri's comments about Chelsea, Liverpool's starting lineup locked down long term, banter amongst fans, and more. We are joined by Drew Pells from the On The Counter Podcast in this episode. We discuss living in China, Chelsea FC, podcasting, and more. We discuss Arsenal's comments about the transfer window, Bielsa's spy, the future of the MLS SuperDraft, and more. We are joined by J.S. Leatherbarrow from Football And The City on this episode. We discuss the creation of Football And The City, J.S. 's Tottenham fandom, provide some recommendations for improving the FA Cup & more. We are joined by Stel Stylianou from the Shoot The Defence podcast. We discuss Stel's podcast, Manchester United, the Champions League draw, and more. We discuss the new MLS playoff system, Jose Mourinho leaving United, and answer listener questions. We are joined by Dave Knittel Sr (our dad) in this episode. We discuss playing soccer in Philly in the 1970s, being a youth soccer administrator, the current state of refereeing youth soccer, and more. We discuss the Champions League, ESPN FC's top 100 players, Turner's Champions League Coverage, and more. We discuss James Milner's legacy, Ada Hegerberg as the first ever Ballon d'Or Feminin winner, MLS Cup and more. We discuss the USMNT finally having a manager, Klopp's pitch invasion, the ongoing Copa Libertadores Final saga, & more. We are joined by Will Rivard from Tottenham Hotspur World. We discuss Will's website, the soccer culture in Alabama, Tottenham's season, & more. We discuss Germany being relegated, the Sturridge betting scandal, the USMNT's utterly meaningless existence right now, and more. We are joined by Todd & Tyler from the Free Kick Pod to discuss the Manchester Derby, Der Klassiker, Ibra's MLS future, & more. We discuss Madrid sacking their manager, De Bruyne unhappy with the NFL, Jose approving his own boss, and more. We discuss the Ronaldo accusations, recap Liverpool vs City, discuss the USMNT roster for upcoming friendlies, and more. We're joined by Andrew Deihl (twitter.com/ItsADeihl) to discuss Neymar as Brazil's permanent captain, Messi's snub, Denmark's national team standoff, and more. Dave is joined by Chrisos Mavromoustakos from Mavro Productions to discuss Chrisos' YouTube channel and soccer fandom. We discuss Schweinsteiger's mid-season testimonial, the life of a lower division US Soccer pro, the USMNT roster for the upcoming friendlies, and more. We discuss Ozil's "illness", La Liga players striking, Austin FC's crest, and more. We're together again for this podcast. We discuss La Liga playing matches in North America, Diego Costa kicking Sergio Ramos, Inter Milan suing La Liga, and more. We are joined by Critty Smith from the Kings of Europe podcast. We discuss Marcelo Bielsa at Leeds, the opening weekend in the Prem, Sporting Director requirements, and more. We're joined by Tom Newman from 90 Minutes At A Time to preview the upcoming 2018-2019 Premier League season. We go through a detailed, team by team discussion to let you know what to expect this season. We discuss Jose Mourinho, Christian Pulisic's future, Alfonso Davies' transfer to Bayern, and more. We discuss Tim Weah's development, Chelsea's empire possibly crumbling, Serie A rising, and more. We discuss the 2018 World Cup Final between France & Croatia. We discuss the action from the 3rd place match at the 2018 World Cup. We review Belgium vs England. We also do a detailed preview of the World Cup Final between France & Croatia. We are joined by Matty Knips from The Underdog Soccer Podcast to discuss the action from the second semifinal match at the 2018 World Cup. We review Croatia vs England. We are joined by J.S. Leatherbarrow from Football And The City to discuss the action from the first semifinal match at the 2018 World Cup. We review France vs Belgium. We are joined by Denver Yost from The MLS Guys to discuss the action from the second day of the quarterfinals at the 2018 World Cup. We review Sweden vs England and Russia vs Croatia. We discuss the action from the first day of the quarterfinals at the 2018 World Cup. We review Uruguay vs France and Brazil vs Belgium. Dave is all alone on today's podcast discussing the action from the third day of the knockout rounds. He reviews Brazil vs Mexico and Belgium vs Japan. We are joined by Denver Yost from The MLS Guys and Christian Sandler from the Philly Soccer Page to discuss the action from the second day of the knockout rounds. We review Spain vs Russia and Croatia vs Denmark. We are joined by Dalu to discuss the action from the first round of 16 matches. We review France vs Argentina and Uruguay vs Portugal. In this episode, we have 2 parts. Just Dave on today's podcast to recap the action from Day 13 of the 2018 World Cup in Russia. He reviews the day's matches of Australia vs Peru, Denmark vs France, Iceland vs Croatia, and Nigeria vs Argentina. Just Dave on today's podcast to recap the action from Day 12 of the 2018 World Cup in Russia. He reviews the day's matches of Saudi Arabia vs Egypt, Uruguay vs Russia, Spain vs Morocco, and Iran vs Portugal. We are joined by J.S. from Football And The City to discuss the action from Day 10 of the 2018 World Cup in Russia. We review the day's matches of Belgium vs Tunisia, South Korea vs Mexico, and Germany vs Sweden. We are joined by our friend Dalu to discuss the action from Day 9 of the 2018 World Cup in Russia. We review the day's matches of Brazil vs Costa Rica, Nigeria vs Iceland, and Serbia vs Switzerland. We discuss the action from Day 8 of the 2018 World Cup in Russia. We review the day's matches of Denmark vs Australia, France vs Peru, and Argentina vs Croatia. We discuss the action from Day 7 of the 2018 World Cup in Russia. We review the day's matches of Portugal vs Morocco, Uruguay vs Saudi Arabia, and Iran vs Spain. The Knittel brothers are joined by Matty Knips from the Underdog Soccer Podcast to discuss the action from Day 5 of the 2018 World Cup in Russia. The Knittel brothers are joined by J.S. from Football And The City to discuss the action from Day 4 of the 2018 World Cup in Russia. Today's podcast is broken into 2 parts. Dave & Matt are joined by listener Dalu to discuss the action from Day 2 of the 2018 World Cup in Russia. We review today's matches of Uruguay vs Egypt, Morocco vs Iran, and Spain vs Portugal. The Knittel brothers are joined by Christian Sandler to discuss the 2026 World Cup vote, Harry Kane's new deal, USMNT vs France, and more. The Knittel brothers are joined by Mark Lawson to discuss the 2018 World Cup. We give our predictions on the group stage, winners, dark horses, disappointments, and breakout players. The Knittel brothers discuss the FA Cup Final, US gambling laws, World Cup roster surprises, and more. The Knittel brothers discuss Rooney to DC United, US Territories voting for the 2026 World Cup, Premier League & Bundesliga season reviews, and more. Episode 76 - Who Can Relate? The Knittel brothers discuss Gerrard taking over Rangers, England selling Wembley, Rocco Commisso offering $500M to US Soccer, and more. The Knittel brothers discuss Arsene Wenger leaving Arsenal, FIFA showing VAR replays in stadium, New England's interesting youth soccer approach, and more. 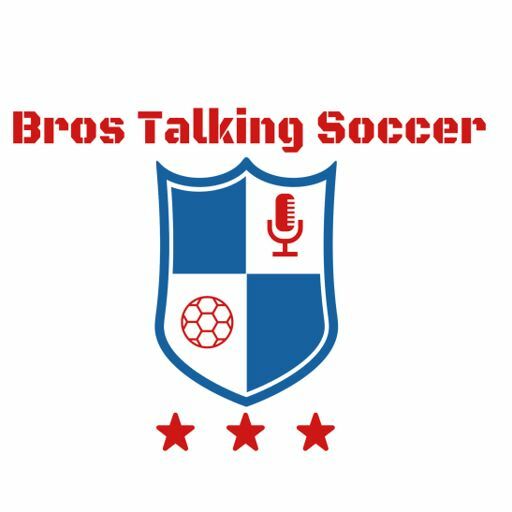 The Knittel brothers discuss Messi's evolution, the top 5 American players in the Prem's history, Ibra's MLS deal details, and more. The Knittel brothers discuss Pogba criticism, the FC Dallas & FC Bayern development deal, VAR, and more. The Knittel brothers discuss the new offside law, the new USSF president, Liga MX suspending pro/rel and more. The Knittel brothers discuss Arsenal's transfer window, MLS roster drama, an MLS v Liga MX Champion playoff, and more. The Knittel brothers discuss Beckham finally getting his MLS team in Miami, Leeds United's awful crest, Zidane on the hot seat, and more. Episode 61 - Do They Have Tasers Over There? The Knittel brothers are joined by Christian Sandler to discuss Sean Dyche eating worms, Ronaldo being even more vain than we thought, the Union finally making moves in MLS & more. The Knittel brothers discuss Eric Lichaj's new dog, Landon Donovan's return, MLS's new eSports league, and more. The Knittel brothers discuss Coutinho to Barca, Fleetwood keeper with a year's supply of Papa John's, Mark Hughes fired from Stoke, and more. The Knittel brothers discuss Goretzka to Bayern, Wenger breaking records, best moments of 2017, and more. The Knittel brothers discuss Bristol City's cup run, quirky scheduling in MLS & EPL, distracting sideline boards, and more. Episode 46 - Are You The Notary? Episode 42 - WADA R You Doing? Episode 37 - The EPL Returns! No new show, but we wanted to send a quick happy 4th of July message. Episode 28 - YOU'RE NOT HEARING ME! Episode 20 - Marco... POLO! Dave, Christian, and Matt are joined by the first repeat guest, Christian Sandler, to discuss the USMNT matches, what the heck is going on in the Netherlands, Messi's suspension, and more. Dave, Christian, and Matt discuss Arsenal's competing sky banners, the Man U banana incident, manager transfer windows, and more. Dave, Christian, and Matt discuss Sergio Ramos' clutchness, Jozy vs Ale, Liga MX's ref strike, and more. Dave, Christian, and Matt discuss Luis Enrique's announcement, a future with no offside, players making fake online profiles, and more. Dave, Christian, and Matt are joined by Ward to discuss Ranieri's firing, Russian hooligans, Olympique Lyon's bee farm, and more. Dave, Christian, and Matt discuss ball boy violence, unethical hair, avoiding vegetables and more. Dave, Christian, and Matt are joined by Matt Peluso to discuss time-wasting, Messi buying out his loud neighbors, a crazy Copa Libertadores travel story, and more. Dave, Christian, and Matt discuss fans live streaming matches, Fox's abysmal coverage of the Bundesliga, Sergio Ramos trading his jersey for pork, and more. Dave and Christian discuss CONCACAF splitting, Jose firing children, Steve Bruce's detective work, and more. Dave, Christian, and Matt are joined by Christian Sandler. They discuss the future of soccer journalism, the African Cup of Nations, the Dimitri Payet/Diego Costa situations, and more. Dave, Christian, and Matt are joined by special guest Casey. They discuss world cup expansion, real life fantasy soccer, and more. Dave, Christian, and Matt discuss Chelsea's win streak, the UEFA team of the year, their favorite underrated players, and more. Dave, Christian, and Matt discuss loanees versus their parent clubs, winter breaks, our favorite Mexican players and more. Dave, Christian, and Matt discuss Bob Bradley's firing, China's rise, soccer vs football, and more. Dave, Christian, and Matt discuss players avoiding taxes, women's soccer development, manager outfits, and more. Episode 4 - We Talking 'Bout Tactics? Dave, Christian, and Matt discuss Messi vs Ronaldo, soccer compared to American sports, Atlanta United, and more. Dave, Christian, and Matt discuss the NASL collapse, college soccer development, the transfer of young pros breaking through and more. Dave, Christian, and Matt discuss Pro/Rel in the US, the impact of money in the game, the influence of titles on a player's legacy, and more. Dave, Christian, and Matt discuss Juergen Klinsmann's firing, the wide open title races in Europe, Klopp wearing a Santa outfit and more.